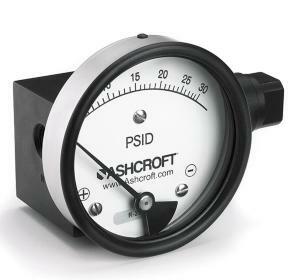 The Ashcroft® 1130 differential pressure gauge is an economical means for measuring pressure between two independent pressure sources. 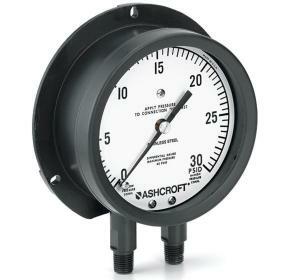 The Ashcroft® 1131 differential pressure gauge is an economical means for measuring pressure between two independent pressure sources. 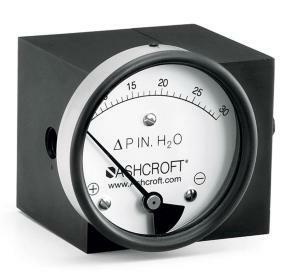 The Ashcroft® 1132 differential pressure gauge is an economical means for measuring pressure between two independent pressure sources. 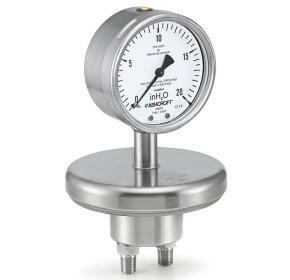 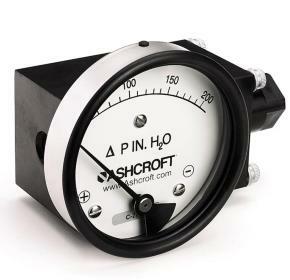 The Ashcroft® 1133 differential pressure gauge is an economical means for measuring very low pressure with high static between two independent pressure sources. 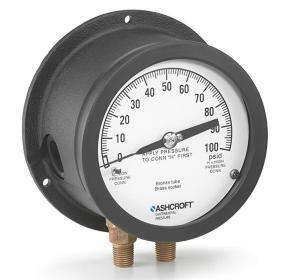 The Ashcroft® 1134 differential pressure gauge is an economical means for measuring pressure between two independent pressure sources. 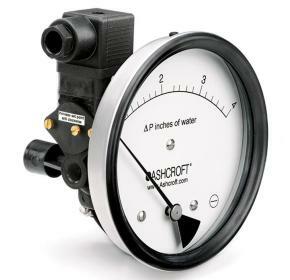 The Ashcroft® 1125 and 1125A differential pressure gauges are utilized for measuring the differential between two separate pressure sources. 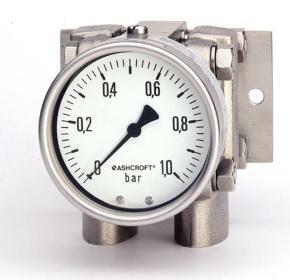 The Ashcroft® 1127 differential pressure gauge is used to measure the differential pressure between two separate pressure sources. 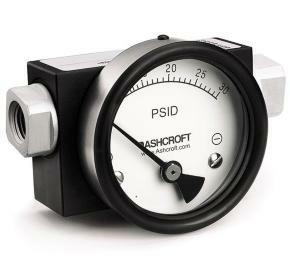 The Ashcroft® 1128 differential pressure gauge is used to measure the differential pressure between two separate pressure sources. 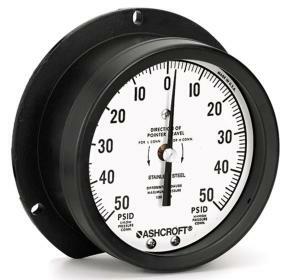 The Ashcroft® F5509/F6509 differential pressure gauges are used for monitoring differential pressure between two separate pressure sources.